Afghanistan Premier League will kick-start on 5th October 2018 in Sharjah. Afghanistan Cricket Board is only looking forward towards the bright future and is doing everything possible to ensure they take giant strides towards a distinct reputation. In a bid to glorify and speed-up their transition process, they too have joined the suit alongside various other countries to start a T20 League of their own. Afghanistan Premier League will kick-start on 5th October 2018 in Sharjah, which will see some big players in the fraternity like Chris Gayle, Colin Munro, Mushfiqur Rahim, Shahid Afridi, Mohammad Hafeez, Andre Russell take part. The tournament will have five teams – Balkh, Kabul, Kandahar, Nangarhar, Paktia. All these five sides will have some marquee names as their icon player to go with a few International T20 specialists. The Player Draft was organized on 10th September (Monday). Players from Pakistan, Bangladesh, Sri Lanka, Australia, New Zealand, West Indies, South Africa and other countries have decided to take part in the inaugural edition of this tournament. With a galore of big names deciding to grace the tournament with their presence, the world will certainly keep an eye on the APL 2018. Any T20 tournament is incomplete without the presence of Christopher Henry Gayle. The Windies legend has been drafted in the Balkh side alongside some other familiar names like Colin Munro, Ravi Bopara, and Mohammad Nabi. Without a shadow of a doubt, Rashid Khan will be the centre of attraction for this big event. 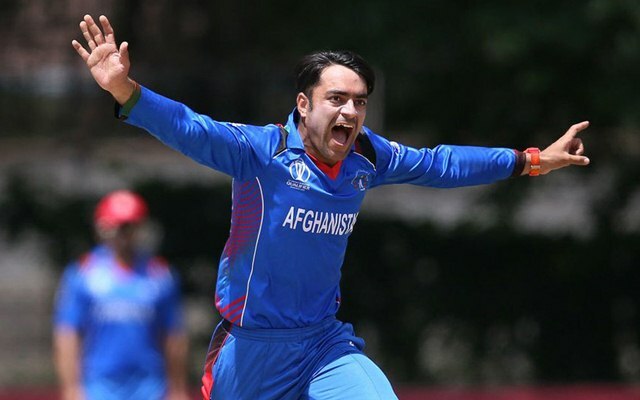 He certainly has been the country’s best T20 player in the last two years and he will play for Kabul alongside some big names like Colin Ingram, Luke Ronchi and Sohail Tanvir. Some other legendary cricketers like Brendon McCullum, Shahid Afridi and T20 stalwart Andre Russell will enter the tournament as the icon player for their respected franchise. This tournament will certainly give great exposure to the young Afghan players who have been performing pretty well at the U19 and domestic level off-late. The tournament will begin on 5th October and will consist of 23 games in 17 days. The final will be played on 21st October and all the matches will be played in UAE. Here are the squads of the five franchises after the end of the player draft.